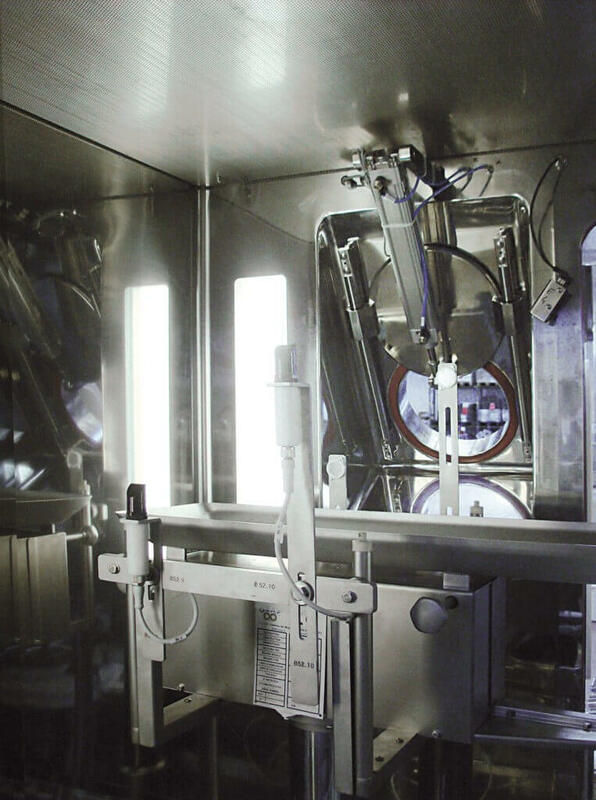 The C-RABS has the purpose to keep the crimping machine provided by others under Class A environment and laminar air flow the same time being treated a toxic product, it provides a significant level of containment in case of non-fully stoppered vial, an over-turned and broken vial. 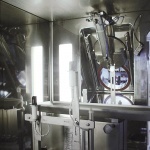 It can be classified as a passive RABS since ventilation is directly managed by the facility HVAC system. Automatic valves for air flow interception. The C-RABS, from the process point of view, can be split in three sections. 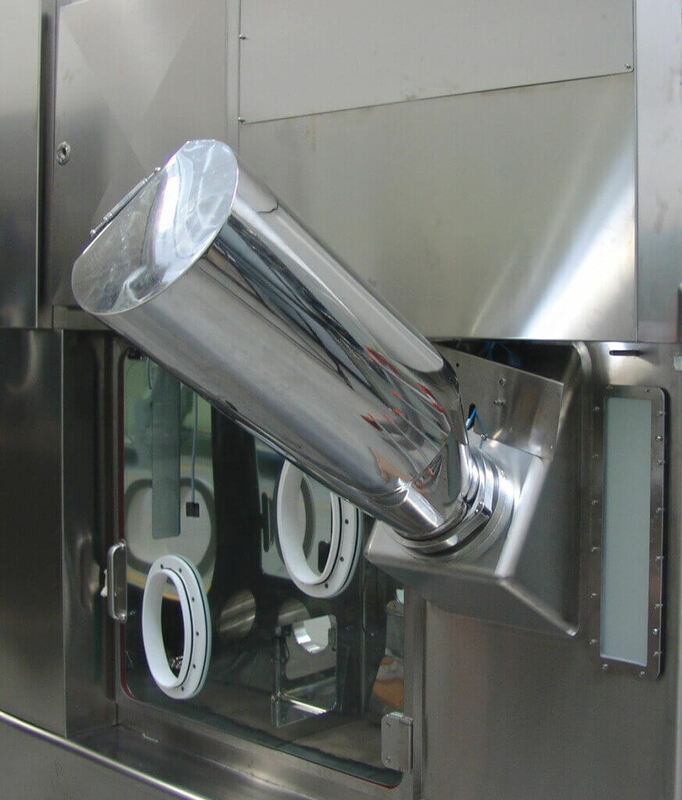 The Crimping Cabinet where the laminar flow is provided is equipped with hinged doors and two continuous liner systems for the rejection and sampling. 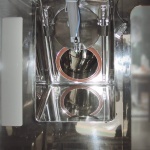 All the glove flanges have sensors to detect hands insertion during operation. 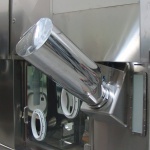 The exit mouse hole has a turbulent ventilation and independent air supply and return to balance pressure difference between the adjacent environments. 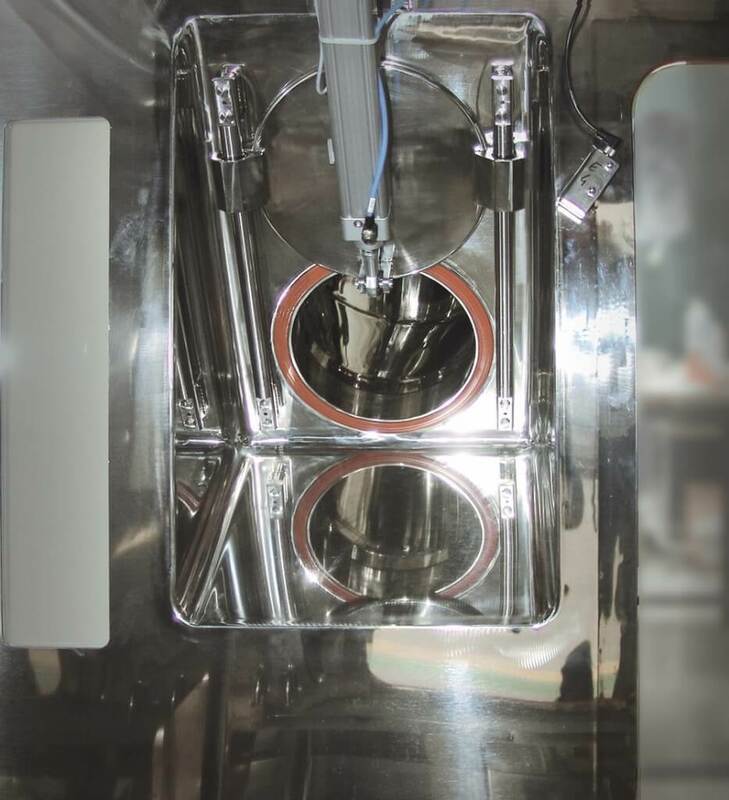 The loading bin is placed on the back of the C-RABS, it is connected with tri-clamp to the crimping cabinet where a pneumatic cylinder actuates the door to let the crimps falling down by gravity into the bowl feeder. 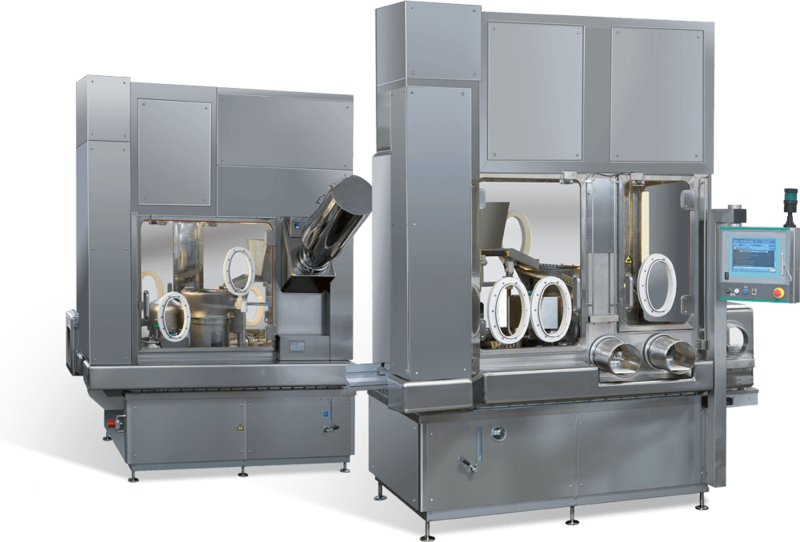 Software GAMP5 compliant is completely integrated in the PC of the crimping machine so that a single HMI is used by the operator.